SCHEDULE OF EVENTS POSTED NOW! We are very happy to present television's hottest stars LIVE and IN PERSON! Now celebrating their 6th season starring in the hit CW series SUPERNATURAL Jensen and Jared are incredible on stage: if you love them on TV you will LOVE them even more after seeing them together at this convention (set for Sunday afternoon). Steven makes his first Supernatural Convention appearance with us but we've worked with him before on our X-Files Conventions (he played the mysterious Mr X. You may also know him from his work on 21 Jump Street, The Equalizer, Stargate and much more! We're delighted to welcome him to this event! Mark has also appeared on genre faves Dr. Who, Warehouse 13, Chuck, Leverage, Dollhouse, Battlestar Galactica, Firefly and many more! 1/23/2011: Aldis Hodge alerted us today that due to his filming of Leverage he is unable to be with us for the convention. As you know Aldis is one of ours (and everyone's) favorites and we look forward to working with him at future events. In the meantime those with separate ALDIS autograph tickets or photo op tickets can use those as CASH at the convention for other tickets: just hand in your printed out PDF tickets for Aldis' separate autograph or photo op tickets at registration and we will scan them and issue you other tickets of your choosing. You may also get a voucher at registration good for merchandise instead. 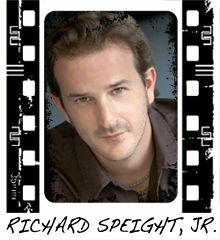 1/27/2011: Richard Speight, Jr. has been added to the guest list due to popular request! The Brian Buckley Band has been added as our musical concert performers for Friday Night. Kim Rhodes has contacted us and will be unavailable for the convention unfortunately. Those with separate Kim autograph tickets and/or photo ops can hand those in at registration for a voucher good for any other tickets or merchandise at the convention. Make sure to be on our SUPERNATURAL e-mail newsletter list to get announcements about SUPERNATURAL events! 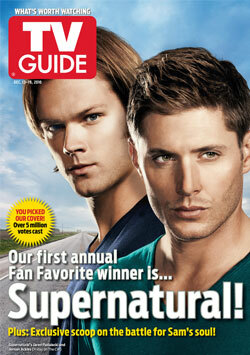 We are impressed with our fellow Supernatural fans who won the big-time vote to get a cover of TV GUIDE! This is the first TV GUIDE cover for the show (what were they thinking waiting this long!?!?) and we love seeing the guys featured! All we can say is that it is about time and it is awesome! JUST ADDED! LIVE IN LOS ANGELES! NEW UPDATE: The band will introduced by Jared Padalecki & Genevieve Cortese in person and they will enjoy the concert with our audience! In the tradition of past Creation Entertainment Salute to Supernatural Conventions, where talented musicians suggested by Jensen and Jared have performed concerts to great acclaim, we are proud to join Jared and Genevieve in introducing THE BRIAN BUCKLEY BAND to our audience. Introduced to fandom by Jared and his wife Genevieve, the band tore up the house at their first performance for us a few weeks back in San Francisco. After that rousing reception it was a natural for us to present them in their hometown of LA! Come enjoy a wonderful night of song with this talented group. Breaking boundaries and creating new musical standards drive Brian Buckley as a songwriter and performer. Born and bred in California, he has spent his life making music and tailoring his craft. His powerful and moving works display a myriad of influences and experiences. Never one to force the process, his muse comes naturally and is uninhibited. As Brian says, �We should constantly be attempting to revolutionize sound�not categorize it." Tickets for this event are complimentary for our Gold Weekend and Silver/Weekend Preferred Patrons, keeping their same great seats. For others general admission tickets will be $15 available at the convention only. It's time to put all that J & J watching to profitable use in our fast-paced live gameshow that offers the opportunity to win $1750 in gift certificates by being the last one standing on stage! 90 players come from the audience: good luck to all and start cramming now! As an extra treat for all of our great attendees Creation Entertainment is happy to present this special FREE PARTY for all! We've had a great time with our CREATION FRIDAY NIGHT Karaoke Parties at past events so come sing, watch, or raise a few with Creation staff, fellow fans and surprise celebrity guest drop-ins including tentatively KATHERINE BOECHER, MATT COHEN, STEVEN WILLIAMS, RICHARD SPEIGHT, JR. and AMY GUMENICK! Exact times and locations will be announced on the printed schedule available at the convention itself (or on-line by the Wednesday prior to the opening day) ENJOY! This party is gonna be "off the hook" with tons of fellow fans from around the globe, a hot DJ, delicious desserts, and a cash bar to keep things lubricated. GUEST APPEARANCES (tentative) BY SUPERNATURAL CELEBRITIES including JIM BEAVER, MISHA COLLINS, TRACI DINWIDDIE and MARK SHEPPARD. Grab pictures of the stars when they arrive and then put your cameras away so the stars can have a comfortable and cool time too meeting YOU! Another way that fans can show off their love of SUPERNATURAL creatively is by entering our famous themed CENTERPIECE CONTEST! This event takes place at our DESSERT PARTY (Saturday Evening) and is for Gold Members attending the event this weekend! Create the very best centerpiece that touches the hearts of our judges and you might just win a special $250 Gift Certificate! Just be "GOLD" and bring your entry to the party and that's all it takes to enter! Here's an opportunity for you to show your creative talents by entering our famous Costume Competition. Held on Saturday, come dressed as any Supernatural character (or make up your own) and vie for audience applause and great prizes including a $250 gift certificate. Good Luck! 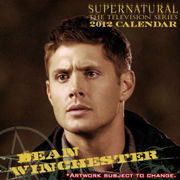 Please place this at your site linking back to www.buysupernatural.com Thanks! Join our Supernatural community on MySpace! GOLD WEEKEND PACKAGES - SOLD OUT! SILVER/PREFERRED WEEKEND PACKAGES - SOLD OUT! This option is the most economical way to attend the weekend (Friday, Saturday and Sunday). You get a non-reserved seat in the rear of the theatre where you will see all the guests and events. This option does not include autographs, which can be purchased separately. This is the best way to attend any one day of the convention. You get a reserved seat in the theatre placed to the sides or behind Gold or Silver/Preferred Weekend Package holders. This option does not include autographs, which can be purchased below. This option is the most economical way to attend any single day(s) of the convention. (Friday, Saturday and Sunday). You get a non-reserved seat in the rear of the theatre where you will see all the guests and events. This option does not include autographs, which can be purchased separately. Here is the incredibly rare chance to get an in person, non-rushed autograph from the sensational stars of SUPERNATURAL. These stars will sign any item you bring from home or buy at the convention. There will be tons of great photographs and other collectibles available at the convention that will be suitable for signing purposes. If you have autographs included in the ticket packages you have purchased and you want more than one autograph per celebrity you can purchase them here and then get all your signatures from that celebrity at the same (first) time you are called up. Traci is signing on a complimentary basis for GOLD WEEKEND Patrons only. All others must purchase an autograph ticket if they want Traci's signature. Amy's autograph ticket is not part of any package and must be ordered separately. Please note: Mark's autograph is not part of any ticket packages and must be ordered separately. Note: Jim's autograph ticket is not part of any package and must be ordered separately. Mr. Williams' autograph is not part of any package and must be purchased separately. 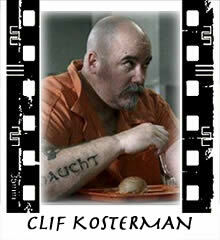 Clif's autograph ticket is not part of any package and must be purchased separately at the convention registration. FIRST TIME EVER! The Young Winchesters and YOU! $79 (Friday) AMY GUMENICK (Young Mary Winchester) & MATT COHEN (Young John Winchester) and YOU! Our famous "sandwich" photo with the stars and YOU! Always a super-fast sell-out and our most prized experience, please order quickly as they never last long! $209 SOLD OUT! SATURDAY GUESTS AND YOU! An awesome opportunity: YOU with MISHA COLLINS, MARK SHEPPARD, TRACI DINWIDDIE and RICHARD SPEIGHT, JR.! Clif's photo op tickets will be sold at the convention only. Special lower than normal rates of $118 a night for a single king or two double beds are available to those coming to the convention. Call 800-228-9290 for reservations mentioning SUPERNATURAL CONVENTION to get these rates. CLICK TO RESERVE YOUR ROOM ONLINE! Parking: The hotel offers special parking rates for those coming to the convention of $12 a day (self parking). The LAX Marriott provides a free shuttle service that runs about every 15-20 minutes from LAX to the Marriott. 1) Photo taking from your seats only, please do not rush the stage when guests appear. 2) No need to run to photo ops, we�ll get them all done. PHOTO OPS are done on a first arrive, first done basis. 3) Please have your items for signature out and ready during autograph sessions. 4) Our volunteers are here to help you and we thank them for doing so. However if you have an issue with ANYONE or ANYTHING please let us know during the convention so we can solve the problem. We can�t help out if you don�t tell us! 6) At the request of our guests, ABSOLUTELY no video or audiotaping PLEASE! 7) Kindly turn off your cell phones when in theatre. If you want to talk to friends please do so outside the theatre. 8) If you get to ask a question of a celebrity in the theatre please make sure you have a good question (not about yourself!) and do not ask for hugs, autographs, photos, or tell the stars you love them (that�s why we�re all here!). Please speak clearly and loudly into the audience microphones. 9) No gift giving, hugs, props, requests for poses in the PHOTO OP room. If you have gifts for our stars please hand it in at registration prior to the photo ops each day. OKAY, THAT�S IT: HAVE FUN! 9 pm to 10:15 pm Gold Package Holder Pre-Registration, not a necessity just a convenience. You can register at anytime registration is open. 10:15 pm to 10:45 pm Gold and Silver/Preferred Weekend Registration, not a necessity just a convenience. You can register at anytime registration is open for your category. 10:45 pm to 11:30 pm All Weekend Patrons may register, not a necessity, just a convenience. SPECIAL NOTE TO OUR GREAT PATRONS: those with Jensen, Jared or Jensen & Jared Duo photo ops please make sure to exchange your PDF tickets for hard tickets at registration sometime during the weekend but not when there is a long line at registration. Changing to hard tickets will allow for smoother photo ops for all! 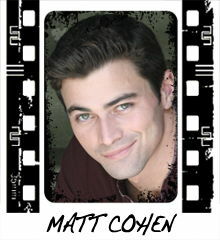 ----- 11:50 am Private Meet & Greet One Hour with Matt Cohen and Amy Gumenick for Ten Lucky Fans. One seat remains at $200, please see registration for availability. In the New Orleans Room, Ballroom Level. 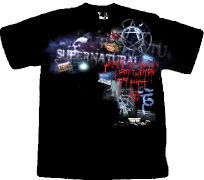 12:15 pm The Trivia Yes/No Game: Win $1750 in prizes by showing off your knowledge of all things Supernatural! 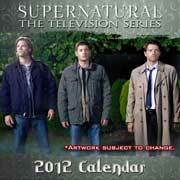 4:10 pm No Minimum Bid Auction of Supernatural and genre collectibles: the action is fast, the bidding fun! 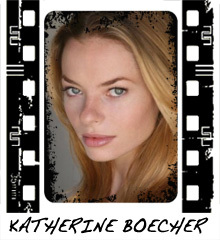 On One Side of the Theatre: Katherine Boucher and Matt Cohen will be signing autographs on a complimentary basis for Gold and Preferred Weekend Patrons (we will call row by row), followed by those with autograph tickets (which we will call by number). Autograph tickets are available at registration for $25 for Matt, $20 for Katherine. 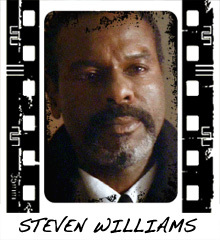 On the Other Side of the Theatre: Steven Williams and Amy Gumenick will be signing autographs for those with their autograph ticktes which we will call by number. Autograph tickets for Steven and Amy are on sale at registration for $25 for Steven and $20 for Amy. Their autographs are not part of any packages and must be purchased separately. Thanks! Autographs will go on beyond 7 pm. 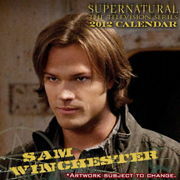 introduced by Jared Padalecki & Genevieve Cortese in person! Complimentary for Gold and Silver/Preferred Weekend Patrons (keep same seats as you have had), for others tickets are $15 general admission at registration. with Katherine Boecher, Matt Cohen, Steven Williams, Richard Speight, Jr. and Amy Gumenick! This is gonna be the best one yet and it is FREE for all! Gold and Silver/Preferred Weekend Patrons may keep their same seats, others can sit outside of these two reserved sections. 8:30 am to 6:30 pm Registration Open for all patrons, those with Jensen, Jared or Jensen & Jared Duo photo ops please make sure to exchange your PDF tickets for hard tickets at registration sometime before Sunday, but not when there is a big line at registration. 10:20 am: Trivia Competition: �Stump The Experts� Show off your knowledge of Supernatural to win prizes and gift certificates! ----- 11:45 am One Hour PRIVATE MEET & GREET with Richard Speight and Mark Sheppard for TEN LUCKY FANS. Three seats remain at $200, see registration for availability. . In the New Orleans Room, Ballroom Level. 1:30 pm Costume Competition: show off your talents coming as any character or make up your own! A $250 gift certificate is up for grabs to the very best costumer, but everyone who enters wins a gift! Contestants just be in the audience to participate! 2:05 pm Intermission/Lunch Break, autographs with Jim Beaver in the hallway outside by registration for those with his autograph tickets available at registration for $35 each. ----- 2:20 pm: One Hour Meet and Greet with Misha Collins, SOLD OUT . In the New Orleans Room, Ballroom Level. 2:45 pm No MInimum Bid Auction: the bidding is fierce and fun for genre collectibles: be on hand! 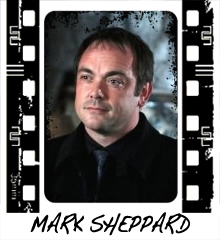 ----- 7:00 pm Photo Ops with Mark Sheppard, tickets at registration for $40, those with autographs of stars signing should get this photo op done first and then come back to the theatre for your autographs. Thanks! On One Side of the Theatre: Misha Collins and Richard Speight, Jr. will be signing on a complimentary basis for Gold and Preferred Weekend Patrons (which we will call row by row) followed by those with autograph tickets (we will call by number) which are available at registration for $40 for Misha and $25 for Richard. 7:45 pm IN THE REAR OF THE THEATRE, Mark Sheppard will sign for those with his autograph ticket which we will call by number and which is available at registration for $25. Saturday NIght 10:30 pm Creation Entertainment�s Dessert & Themed Centerpiece Contest, complimentary for our Gold Weekend Patrons ONLY. Sold out! 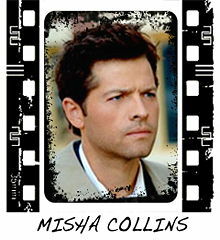 Celebrity drop ins tentatively include Jim Beaver, Misha Collins, Traci Dinwiddie and Mark Sheppard. Cameras permitted ONLY when guests first arrive, then kindly put them away so guests can also enjoy! (no reserved seating for this event) A Super Charity Movie Night, hosted by Misha�s Charity Random Acts: featuring Friday the 13th, My Bloody Valentine and Par 6. Trivia games, prizes, bragging rights, and more! Admission is free, but donations are welcomed and greatly appreciated. 7:45 am Continental Breakfast & Silent Charity Auction with JENSEN & JARED, exclusive for our GOLD PATRONS, SOLD OUT!, celebrity guests to arrive approximately 8:30 am and stay until 9 am. 8:10 am to 5:30 pm REGISTRATION OPEN TO ALL, those with Jensen, Jared or Jensen & Jared Duo photo ops please make sure to exchange your PDF tickets for hard tickets at registration before you enter the theatre and/or go to the photo op line. 8:30 am THEATRE OPENS to those with PHOTO OP TICKETS FOR JENSEN, JARED or JENSEN AND JARED. Please show your photo op tickets to enter. ----- 9:05 am to 10:05 am Jensen solo photo ops, if you have a ticket for the Jared Half Hour Private Q and A you may go first, after our VIPs. 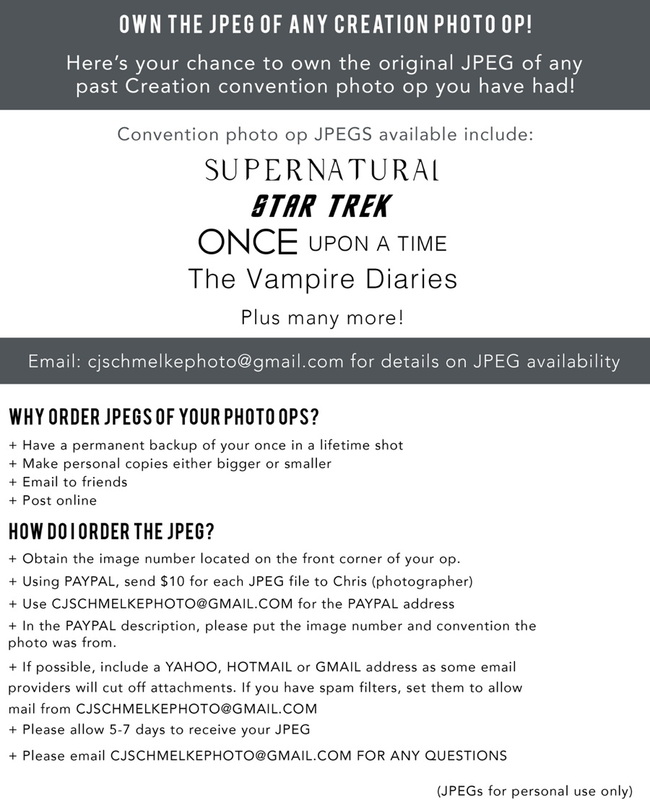 We�ve been able to open up a very small number of additional photo op tickets for this session, available at registration for $149 until gone. PLEASE DO NOT GO DIRECTLY TO THE PHOTO OP LINE, COME TO THEATRE FIRST. ----- 10:15 am to 11:15 am Jensen and Jared duo photo ops, we�ve been able to open up a very small number of additional tickets for this at $229 until gone, available at registration. PLEASE DO NOT GO DIRECTLY TO THE PHOTO OP LINE, COME TO THEATRE FIRST. ----- 11:15 am to 12:15 pm Jared solo photo ops, if you have a ticket for the Jensen Half Hour Private Q and A you may go first, after our VIPs. We�ve been able to open up a very small number of additional photo op tickets for this session, available at registration for $149 until gone. PLEASE DO NOT GO DIRECTLY TO THE PHOTO OP LINE, COME TO THEATRE FIRST. 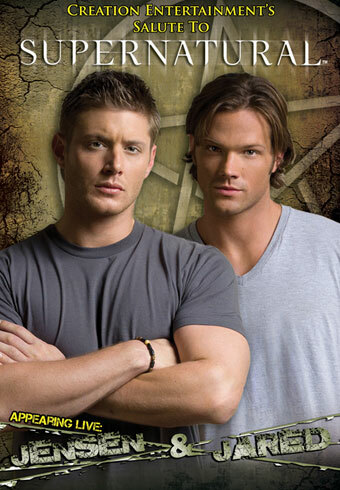 2:00 pm to 4 pm Jensen and Jared Autographs, Jensen and Jared are signing on a complimentary basis for Gold and Silver/Preferred Weekend Patrons (we will call row by row), followed by those with their autograph tickets (we will call by number). The guys� schedule has allowed us to offer a few additional autograph tickets for sale at registration for $119 each. 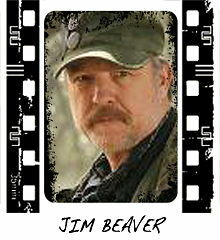 ----- 2:10 pm Photo Ops with Jim Beaver, tickets at registration for $50. If you have Jensen and/or Jared autographs please get your photo op done first and then come back to the theatre. If you row has been called you can go right on the autograph line, if not back to your seat. 3:15 pm in the theatre, SURPRISE AUTOGRAPH SIGNING by Genevieve Cortese (Ruby), autograph tickets at registration for $20, we will call by number. This signing is not part of any package and must be purchased separately. 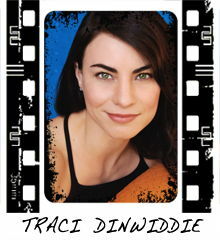 5:00 pm Traci Dinwiddie (Pamela Barnes) in a special musical performance. On One side of the Theatre: Brock Kelly is signing on a complimentary basis for Gold and Silver/Preferred Weekend Patrons (we will call row by row) followed by those with autograph tickets (we will call by number) available at registration for $20. On The Other Side of The Theatre: Traci Dinwiddie is signing for those with her autograph ticket (we will call by number) available at registration for $20. 6:30 pm UPGRADES FOR 2012 LOS ANGELES CONVENTION: JENSEN & JARED ARE ALREADY SIGNED UP, ARE YOU?!? Here�s where the great fans who signed up for 2012 get to try to get even better seats than they have now! If you sign up and you are not present for this upgrade session we will try to move you up ourselves. Check out the other page in this schedule for all the details AND thanks for your continued support! WE�LL SEE YOU MARCH 2-4, 2012: Jensen and Jared are coming back AND, we�re moving to BURBANK and a great ultra-modern facility! It is going to be AWESOME! CELEBRATING OUR 40TH ANNIVERSARY THIS YEAR!